Authorities say the driver fled the scene after slamming into a Raleigh apartment complex early Friday morning. RALEIGH (WTVD) -- A driver is facing charges after crashing into a Raleigh apartment complex and allegedly fleeing the scene early Friday morning. It happened just after midnight at the Duraleigh Woods Apartments. Police said a Jeep SUV was driving down Poyner Road when it ran up a hill and slammed into the corner of the apartment building. A driver is facing charges after crashing into a Raleigh apartment complex and fleeing the scene early Friday morning. Authorities said the driver then pulled away from the damage and drove off. No one inside the complex was injured, but renters at the complex have been displaced due to the damage. Officials found the Jeep a short time later parked at the Olde Raleigh Apartment Complex on Grand Manor Court off Duraleigh Road. The SUV had a busted windshield, scrapes, and still had a large amount of debris -- nails, wood, broken glass and even yard gloves from a storage shed -- piled up on the hood. The driver of the vehicle, 26-year-old Brandon Kent Loosman was taken into the custody and charged with hit-and-run. 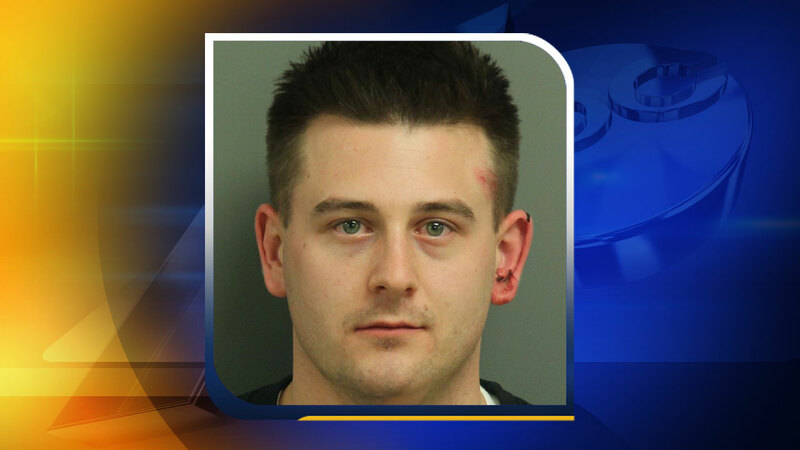 He is currently being held at the Wake County Detention Center under a $500 bond.